This Malibu has it all, leather seats, touchscreen radio, heated seats, and so much more! Hate going to the gas station? Well the Malibu is know for being fuel efficient! Whether its another drive to the office or a night out with friends, everyone will be impressed. This vehicle was specifically chosen by our team here at Central Chevrolet. We work hard to find only the most exceptional vehicles available for sale. All of our vehicles go through a stringent reconditioning process which includes an oil change, new wiper blades, a multipoint safety check and a detailed professional cleaning. Don't wait to find out its gone! Call us TODAY! Where Every Chevy Always Sells For Less! Navigation, Rear-vision camera, touch screen radio, fog lamps, heated seats and much more! Blending style and comfort the 2018 Equinox was designed with your needs and wants in mind. This vehicle was specifically chosen by our team here at Central Chevrolet. We work hard to find only the most exceptional vehicles available for sale. All of our vehicles go through a stringent reconditioning process which includes an oil change, new wiper blades, a multipoint safety check and a detailed professional cleaning. Don't wait to find out its gone! Call us TODAY! Where Every Chevy Always Sells For Less! Cloth heated seating, touchscreen radio, back up camera, dual air control and so much more! Blending style and comfort the 2018 Equinox was designed with your needs and wants in mind. This vehicle was specifically chosen by our team here at Central Chevrolet. We work hard to find only the most exceptional vehicles available for sale. All of our vehicles go through a stringent reconditioning process which includes an oil change, new wiper blades, a multipoint safety check and a detailed professional cleaning. Don't wait to find out its gone! Call us TODAY! Where Every Chevy Always Sells For Less! Rear Power Liftgate, Remote Start, Blind Zone Alert, Rear Vision Camera, USB port, and so much more! This vehicle was specifically chosen by our team here at Central Chevrolet. We work hard to find only the most exceptional vehicles available for sale. All of our vehicles go through a stringent reconditioning process which includes an oil change, new wiper blades, a multipoint safety check and a detailed professional cleaning. Don't wait to find out its gone! Call us TODAY! Where Every Chevy Always Sells For Less! REARVIEW CAMERA, AM/FM STEREO WITH MP3 PLAYER, BULKHEAD DIVIDER, POWER WINDOWS, AND SO MUCH MORE! This vehicle was specifically chosen by our team here at Central Chevrolet. We work hard to find only the most exceptional vehicles available for sale. All of our vehicles go through a stringent reconditioning process which includes an oil change, new wiper blades, a multipoint safety check and a detailed professional cleaning. Don't wait to find out its gone! Call us TODAY! Where Every Chevy Always Sells For Less! REARVIEW CAMERA, POWER OUTLET, POWER WINDOWS, AM/FM STEREO WITH MP3 PLAYER, AND SO MUCH MORE! 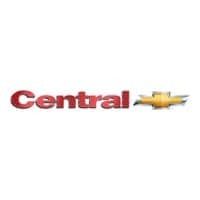 This vehicle was specifically chosen by our team here at Central Chevrolet. We work hard to find only the most exceptional vehicles available for sale. All of our vehicles go through a stringent reconditioning process which includes an oil change, new wiper blades, a multipoint safety check and a detailed professional cleaning. Don't wait to find out its gone! Call us TODAY! Where Every Chevy Always Sells For Less! COMPANY VEHICLE. Tri-Fold Soft Tonneau cover, Navigation, LED Lighting Cargo Box, rear view camera, front fog lights, and dual climate control. This truck is built for towing and hauling heavy loads, making it America's Favorite Truck. This vehicle was specifically chosen by our team here at Central Chevrolet. We work hard to find only the most exceptional vehicles available for sale. All of our vehicles go through a stringent reconditioning process which includes an oil change, new wiper blades, a multipoint safety check and a detailed professional cleaning. Don't wait to find out its gone! Call us TODAY! Where Every Chevy Always Sells For Less! OFF-ROAD APPEARANCE PACKAGE, TRAILERING EQUIPMENT, LIGHTING CARGO BOX, WIRELESS DEVICE CHARGING, SPRAY ON BED LINER, and so much more! This vehicle was specifically chosen by our team here at Central Chevrolet. We work hard to find only the most exceptional vehicles available for sale. All of our vehicles go through a stringent reconditioning process which includes an oil change, new wiper blades, a multipoint safety check and a detailed professional cleaning. Don't wait to find out its gone! Call us TODAY! Where Every Chevy Always Sells For Less! Heated Steering Wheel, Ventilated seats, Rear View Camera, Bose Audio, Heated Seats, and so much more! This truck is built for towing and hauling heavy loads, making it America's Favorite Truck. This vehicle was specifically chosen by our team here at Central Chevrolet. We work hard to find only the most exceptional vehicles available for sale. All of our vehicles go through a stringent reconditioning process which includes an oil change, new wiper blades, a multipoint safety check and a detailed professional cleaning. Don't wait to find out its gone! Call us TODAY! Where Every Chevy Always Sells For Less! COMPANY CAR, GM EXECUTIVE DEMO, SKYSCAPE SUNROOF, HEATED SEATING, WIRELESS DEVICE CHARGING, FORWARD COLLISION ALERT, REAR CROSS TRAFFIC ALERT, ROOF RACK, LOW MILES AND SO MUCH MORE. TAKE HOME YOUR NEXT DREAM CAR TODAY!This vehicle was specifically chosen by our team here at Central Chevrolet. We work hard to find only the most exceptional vehicles available for sale. All of our vehicles go through a stringent reconditioning process which includes an oil change, new wiper blades, a multipoint safety check and a detailed professional cleaning. Don't wait to find out its gone! Call us TODAY! Where Every Chevy Always Sells For Less! Sun roof, Keyless Start, Bluetooth streaming, dual air control, and so much more. Regal Sportback has a hatchback that gives it a sleeker, coupe like profile and an added dose of utility. This vehicle was specifically chosen by our team here at Central Chevrolet. We work hard to find only the most exceptional vehicles available for sale. All of our vehicles go through a stringent reconditioning process which includes an oil change, new wiper blades, a multipoint safety check and a detailed professional cleaning. Don't wait to find out its gone! Call us TODAY! Where Every Chevy Always Sells For Less! Panoramic Sunroof, Heated seats, Dual Air Control, Back up Camera, Bluetooth and so much more! The Volkswagen Tiguan is the perfect vehicle for those look for space and comfort! This vehicle was specifically chosen by our team here at Central Chevrolet. We work hard to find only the most exceptional vehicles available for sale. All of our vehicles go through a stringent reconditioning process which includes an oil change, new wiper blades, a multipoint safety check and a detailed professional cleaning. Don't wait to find out its gone! Call us TODAY! Where Every Chevy Always Sells For Less!